As I mentioned a few weeks ago, there is this massive Cirque de Soliel show in town. Approximately 1 mile from our house. And when I say Cirque show, I mean 47 massive white tents set up to look like they are trying to contact aliens in space. And so...we had to go, and see what was inside of these monstrous tents. And were amazed. There are 6 horses in a row, doing the grapevine. You know the Pommel Horse in gymnastics? Well turns out, you can do the Pommel Horse, on a real horse. Well maybe not you. But people can do it. No offense. You're pretty great. But not Pommel horse on a horse, great. I, Kara, the person with the least patience in the entire world, sat there, amazed and without motion, for 2+ hours. 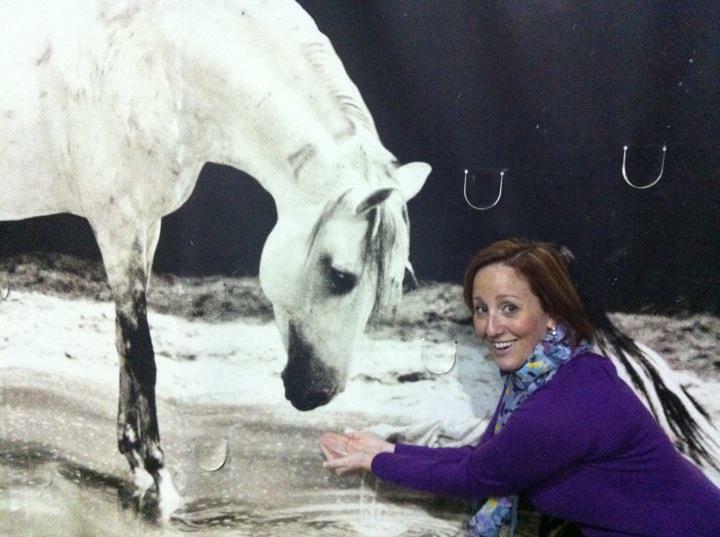 That, in itself, should be a testament to the amazing-ness of Cavalia. Now, there are some strange things about this show, like the fact that apparently your hair has to be 3 feet long to be in the show. Male or Female. It is also not recommended that you shower if you are a show performer. And finally, I still don't understand what occurs in all of those dang tents. My friend Rachel tried convincing me that one was a 'mess hall' of sorts where they ate, and another was for makeup...etc... I don't believe it. I think they may still be contacting space in some of those tents. Throughout the entire show, I had many questions relating to the horse maintenance, health and welfare. 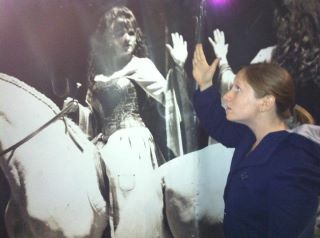 I was also curious as to weather they would allow me to go backstage and play with the horses. I mean, they totally should let me do that, right??? Well my questions fell on deaf ears, but as the show ended, they announced that if you had the 'Horse Lover level ticket' you were welcome backstage for the 'Horse Experience'. I was saddened and dismayed that we did not have these tickets, and asked my husband if we could perhaps sneak backstage. He simply turned his head and pretended that I had not asked that question. 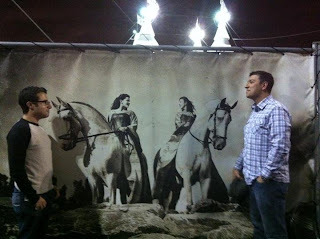 Needless to say, we did not play with the horses. To my great sadness. But we did take some photos with the posters. Which is not at all like playing with the horses. But the husband tried convincing me that it was just as great. Go see it. It's amazing. And do me a favor, sneak into the tents and let me know what is inside.